Oh, sweet sixteen. While the NCAA tourney might cost employers $1.75 million in unproductive wages as fans try to watch games at work during the first two days of action, the tourney also leads up to another milestone—the quarterly review. If you have a strategic plan in place, this is an important month to gather the team, open up your playbook and identify what goals are progressing and which seem to be as realistic as hitting a half-court shot. 1. GET IT SCHEDULED. It is a fact that strategic planning needs regular review sessions to stay on track and be relevant. Annual retreats just don’t cut it. So the most important thing all strategic plan managers should be doing right now is getting a management review scheduled. 2. GET TO THE ISSUE. 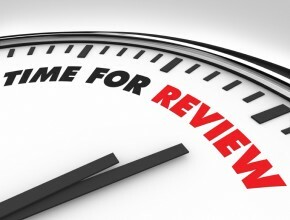 Segment the time during your review so that you are not simply reporting on completed tasks for 90 minutes. Schedule 5-10 minutes to report this detail at most. You’ve got thinkers in the room, so use their time well. What are the issues you must resolve to enhance performance toward your company’s goals? Use this time to focus on one or two critical goals, come to consensus on the best way to move them forward and agree on the critical milestones to get there. Document those as goals in your plan and be SMART about them. 3. STAY COMPETITIVE. Beyond the quarterly strategy review being an important time to check in on the most important plan issues, it is about how strategy addresses threats and opportunities. Since the plan was drafted, what has changed in your environment? One of the major complaints about strategic plans is that they become cumbersome; use your quarterly review to keep your plan in shape. So while we might be able to ignore the prevalence of tournament brackets hanging on the walls of our offices, its time to check-in and focus on your quarterly strategic review. Advertising for employment openings on NCAA’s website might have its benefits as well.